United Arab Emirates, December 7, 2017: Sthan, bringing you authentic Frontier food from beyond borders, is now open in Dubai. An ode to the culturally rich cuisine of India, Pakistan and Afghanistan, Sthan offers a delectable palette of food with the flavors, traditional heritage and exuberant spreads from these three countries. The word Sthan, which means place, is the common element between HinduSthan, PakiSthan and AfghaniSthan. The flagship restaurant is known for its rustic open interiors, serving plates of delicious street food. Crafted with passion, the detailed Menu which refers to specific dishes from Kabul, Peshawar, Karachi, Bombay, Delhi etc. are suited for café style eating – easy, flexible, welcoming. One would find in the menu, an appetizing mix of dishes that is sure to remind them of food served in the dining areas at home. To compliment the menu, the ambience offers a sense of belonging and warmth just as one would experience in the nostalgic lanes of their city. The artwork and map on the walls, looks at the great cities and evokes a sense of nostalgia for the erstwhile Frontier Province. It also showcases how the food styles evolved as you move from Kabul to Karachi to Delhi. The interiors, with its ample natural lighting and full-length windows, blue & white floor tiles, the distinct fabric on the sofa and the open kitchen remind one of the open tandoors of the olden days. The crockery is simple and meant for sharing. Traditionally a lot of the food in these three countries influence each other’s culinary styles and hence we are hopeful that our visitors will enjoy our culmination of food to represent only the best of what there is to offer.” He added. 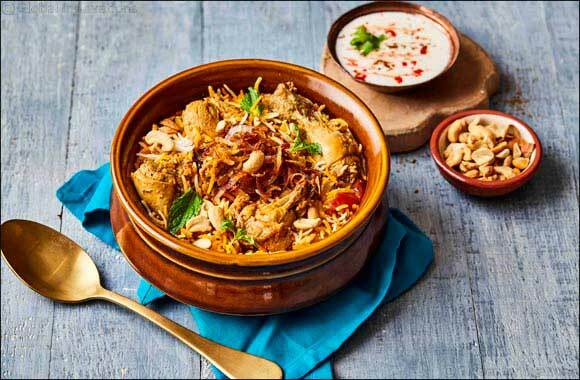 Some of the signature dishes recommended by the Chef – Raan Irani, Dhaba Murg, Hyderabadi Haleem and Rara Gosht. From the desserts the Mutton Halwa and Jalebi ki Chaat is a must try. The Chai ki Dukan and Goli Botal are also a favorite of patrons.